Citigroup is exiting the mortgage servicing market but it is not likely to be the only non-bank lender to do so says Fitch. The ratings firm says that it is part of a larger trend but should not have a significant impact on banking sector credit profiles. The pull-back is being driven by several factors: increased regulation, higher rates, and a wish to simplify business models. 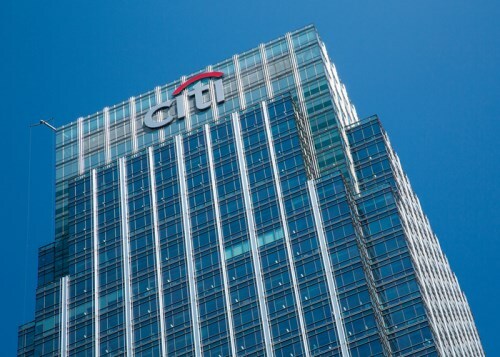 Citigroup will sell its mortgage book of 780,000 loans of customers that do not have a relationship with Citi, to New Residential; other mortgage servicing rights will go to Cenlar. Despite the decision of Citi to shutter its mortgage servicing business by 2018, Fitch believes that the non-bank sector will continue to grow market share. Home prices continued rising towards the end of 2016, as November data from S&P CoreLogic Case-Shiller reveals. The national home price index covering all 9 census divisions was up 5.6 per cent year-over-year and 5.5 per cent month-over-month in November while the 10-city composite was up 4.5 per cent (y-o-y) and 4.3 per cent (m-o-m). “With the S&P CoreLogic Case-Shiller National Home Price Index rising at about 5.5 per cent annual rate over the last two-and-a-half years and having reached a new all-time high recently, one can argue that housing has recovered from the boom-bust cycle that began a dozen years ago,” says David M. Blitzer, Managing Director and Chairman of the Index Committee at S&P Dow Jones Indices. The 20-city composite was up 5.3 per cent (y-o-y) and 5.1 per cent (m-o-m) with Seattle, Portland and Denver recording the highest annual gains. Blitzer says that there are several factors which could affect the housing market including new White House policies on tax and boosts for economic growth. Vacancy rates for multifamily rental units are expected to hit 5 per cent this year, the highest since 2011, but oversupply is not expected to be a major issue. Freddie Mac says oversupply risks should be kept in check on a national basis due to absorption rates, a modest drop in multifamily starts, stable employment growth, new household formations and changing lifestyle preferences that favor rental housing. “Demand for rental units is at a historic high due to demographic changes and lifestyle preferences, but increasing new supply and other factors are likely to moderate multifamily market growth in 2017," said Steve Guggenmos, Freddie Mac Multifamily vice president of research and modeling. "In particular, landlords are likely to pull back on rent increases as new supply enters the market and vacancy rates rise." Rents are expected to continue to rise at the same pace as 2016.